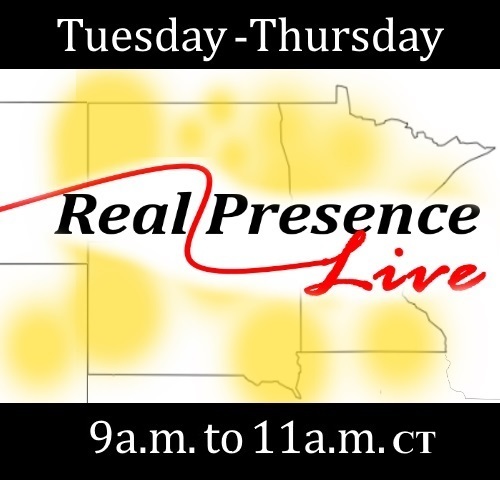 In the first hour, hosts Brad Gray and Jeanine Bitzan began by speaking with Becky Cote from the Voss Pumpkin Patch in Voss, North Dakota about tips for picking out the best pumpkins for your family. Brad and Jeanine then spoke with Jean Weller about the beauty that awaits you at the House of Mary Shrine near Yankton, SD. Finally, our hosts visited with Christie Collins, Respect Life and Natural Family Planning Coordinator for the Bismarck Diocese, about how her faith journey led her to a greater respect for life and to her current pro-life work. Christie also previewed an upcoming Rachel's Vineyard retreat for those seeking healing after an abortion. In the second hour, host Fr. James Gross began by visiting with Elizabeth Raney. She shared her personal story of having an abortion, what life was like for her following the procedure, and how she was able to find healing. Our host then previewed the upcoming Sunday Gospel reading from Matthew. Finally, Fr. Gross continued our Fall Festival Tour, stopping at St. Katherine Church in Braddock, ND. In the first hour, host Fr. James Gross talked with Bob Chance about the great opportunities to see the fall colors at Itasca State Park near Park Rapids, MN. He also spoke with Sister M. Ancilla about the beautiful Shrine of Our Lady of Guadalupe in La Crosse, Wisconsin. Finally, our host visited with Josh Gow, Katey Visser, and Isaac Kubalak from Shanley High School in Fargo about community service and having a positive impact in our local areas. In the second hour, host Michael Wilde talked with RPR Executive Director Steve Splonskowski about the recent Fall Live Drive. After that, our host visited with Joe Miller, Executive Director of the Magis Center of Reason and Faith, about whether or not science and religion can work together and his upcoming visit for the Diocese of Duluth's Annual Assembly. Finally, we continued our Fall Festival Tour, stopping at St. Francis de Sales Church in Moorhead for their annual Roast Beef Dinner and Fall Festival. In the first hour, host Michael Wilde visited with Annah Zikmund and Rachel Ullmer about how youth are making learning and involvement in the community fun and meaningful through local 4-H clubs. He also spoke with Fr. Mark McCormick, Director of Vocations and Stewardship for the Diocese of Rapid City, about the importance of parents encouraging their children to use opportunities to help determine what vocation the Lord may be calling them to. Michael wrapped up the hour by talking with Shirley Bachmeier about the 100th anniversary of the October 13 apparition at Fatima, the day known as "The Miracle of the Sun", and the upcoming Public Square Rosary Crusades to be held in honor of this special anniversary.